The popular collaboration tool made several key enterprise announcements at its first-ever Frontiers conference. 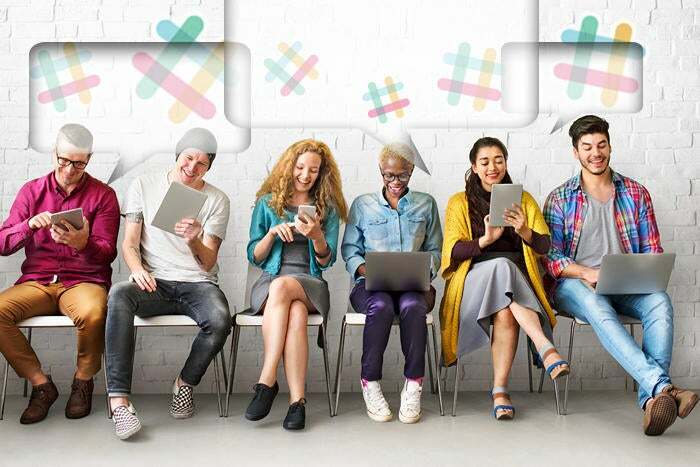 SAN FRANCISCO – Slack kicked off its first user conference here by announcing a number of new features to its collaboration tool, including a way to share Slack Channels with partners and other external organizations and long-awaited international versions of the platform. While Slack has proven to be a popular way to share messages and work flows within a team or organization in real-time, April Underwood, Slack’s vice president of product, said the company saw the need for a secure workspace that could be shared more broadly. “Every company is part of a constellation of companies that work together. There is a lot of demand for Slack to be the connector that works between those companies,” said Underwood. Shared Channels also promises to expose more third party apps available at Slack’s App Directory. “This is a way for you to peek at how other organizations are using applications,” she said. Nate Brown and Jen Rubio, two beta users of Shared Channels, discussed their experience during the morning keynote sessions. Brown is founder and creative director of Studio Institute, a creative agency, and Rubio is Co-founder luggage company Away Travel. Brown and Rubio are using Shared Channels to plan a “pop-up” hotel during Paris Fashion Week in six weeks time – something they said couldn’t be accomplished with more formal means of communications. “It’s helped our teams understand us more. They were able to see the formation of the entire idea, comment and react in Slack,” said Rubio. Two large enterprise users of Slack also took the stage to detail how they use Slack. He added that Oracle became familiar with Slack by way of corporate acquisitions, where it was already in heavy use. “With all our acquisitions, we’re absorbing a lot of different tools and some of them we absolutely have to use and integrate because it’s how they were doing their business,” said Donnelly, noting that Oracle is integrating Slack with many of its in-house applications. He also shared that company chairman Larry Ellison let it slip during a company-wide summit that Oracle was planning to adopt Slack. “That created quite a buzz throughout the company. It’s a great tool,” he said. Jeff Dow, CIO at 20th Century Fox, said there was a cultural adjustment when the company made Slack available to 25,000 employees worldwide. “The first thing people want to do is set up a private channel in Slack because they’re so used to closed systems like email,” said Dow. But they soon realized that a public Slack channel (within the company) could lead to more communication and sharing and wound up being what they used. “Slack has been the hammer that’s helped us tear down the silos at 20th Century Fox,” said Dow.